Finally, after a longer than expected international ratification process, on 23rd August the Philippines became the 30th country to ratify Maritime Labour Convention 2006, setting in motion the 12 month run-up to its full implementation and some major changes for yacht crew. Hailed as the “Seafarers Bill of Rights”, the strategic purpose of the MLC is to root out marginal operators of substandard vessels from the world’s oceans. One standard to measure is whether both conditions and protection for the world’s seafarers are as close as possible to those of workers ashore. And to their credit, the very best employers in the industry are already largely complying with the MLC. Ironically in the superyacht industry much of the angst with the MLC has centered on changes to the interior design of yachts built after its implementation. But for yacht crew members, who never really seemed upset with their on board accommodation anyway, the real focus should be on the social security side of the MLC. In an ironic twist, YOU must now be VERY sure of YOUR personal status with your personal tax authorities – this is still YOUR problem, NOT your employer’s. The important thing to remember about the MLC is that it’s ultimately enforced by the Port State, the country of the Port your yacht is visiting as opposed to your “Flag State” which is where your yacht is registered. 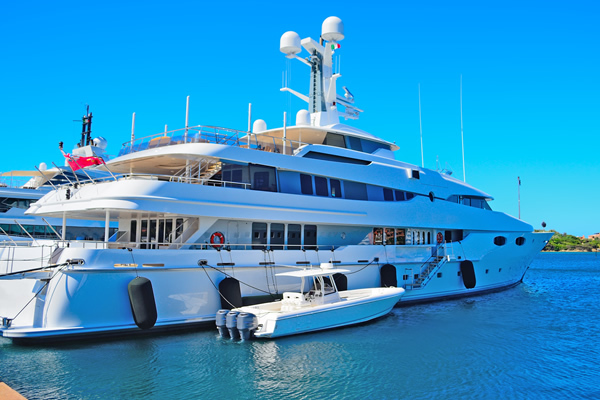 (Learn more about how Port States decide which vessels to check and how they decide if a yacht is on its White, Grey or Black List ). So when your yacht arrives in Port, local authorities may now board your yacht with more on their mind than the number of life jackets she carries and whether the owner’s paid EU VAT. Post MLC they will be obligated to consider even more comprehensively the welfare of the yacht’s crew. Besides checking the files for employment contracts, they are on the lookout that things aren’t well with the crew. One commercial shipping publication recently suggested that a yawning crew member might be enough to make Port State authorities “ask” for an even closer look. A good place to start, and one particularly controversial for some superyacht owners, is the yacht crew spokesperson/representative (who hopefully is not there just to settle a personal grievance). One big irony of something supposedly meant to help crew is that this same Port state visit can raise your profile with tax authorities, particularly if the Port State happens to also be where you are resident or the country of your passport or where you spend lots of time. Another irony is that the MLC does not require your employer to provide you with a pension – that’s for you to work out as well. Check your yacht’s flag – This is not specifically covered in the MLC, but where a yacht is registered can tell you and Port State authorities quite a lot about the yacht. Remember, if a yacht is arrested, she can’t charter until she’s released and no charter, no tips. A White-listed Flag State suggests that the yacht is well maintained with adequate safety systems and is regularly inspected. So why not ask to see the last survey report (MLC surveys are likely to be run alongside Annual Surveys from September 2012 onwards)? This will give you some assurance that points requiring correction have been dealt with and is probably the best sign that the yacht Owner takes the safety of both the yacht and crew seriously. Crewing agencies – if you’re paying someone to get you a job, stop. They’re breaking the law. The Seafarers Employment Agreement (“SEA”) – It’s YOUR Employment Contract – The owner must inform you of your rights and duties under their SEA prior to engagement – so at the point of a job offer, you should receive copy of the SEA for review. If the owner won’t provide it, this is a warning sign. Bottom-line, the owner must give you an opportunity to examine the SEA and time to seek advice before signing. Employers liability insurance certificate – All commercial vessels are expected to operate like a business ashore. That means you should be given access to procedures covering areas such as safety, disciplinary, grievance, holiday request, whistle blowing/bribery reporting and so on. Request a copy. 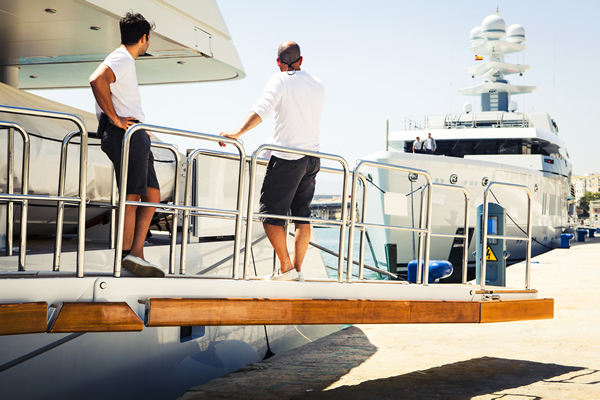 One of the great myths of working at sea in the superyacht industry has been that its tax free income and you don’t need to worry about income tax and social security/national insurance contributions. In fact, this was never the case and ironically because of the MLC, you might find that your name now pops up in front of tax authorities more often than some people would like. By the way, it is perfectly legal for owners and employers to pay you through places like Guernsey so that they do not have to deduct tax on your behalf, which leaves it up to you. But the country where you are domiciled or resident or even the country issuing your passport might be interested in why they haven’t been hearing from you lately, especially if you decide you need their health care or benefits. So you must make sure that you understand clearly to what country you may be accountable, what forms or returns you must be submitting and to whom. Ideally a letter from the country of your nationality, the country where you have real estate, the country where you spend most of your leave time is a solid starting point. The good news is that the MLC means a much more level playing field for yacht owners and their crew. And regardless of global economic conditions a yacht is only as good as her crew. 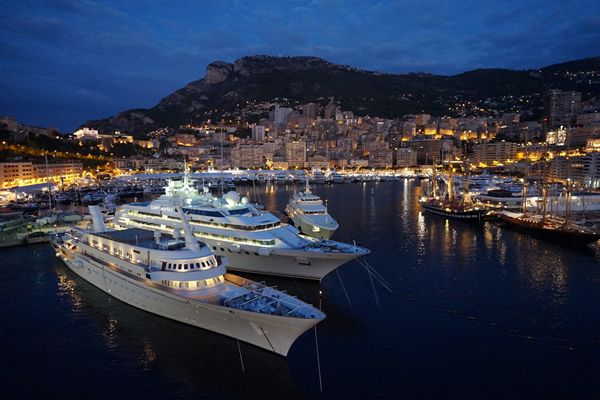 Moore Stephens Brokers Limited specialises in insurance and income protection plans for all superyacht crew, with policies tailored uniquely and comprehensively for the needs of this demanding and rigorous profession. So, before you get a “headache”, take time to talk to us about a lifetime of first-class medical protection. After all, you need serious health problems overseas like you need a hole in the head.